Salt breaks down uncooked proteins in a process that also tenderizes raw meat. 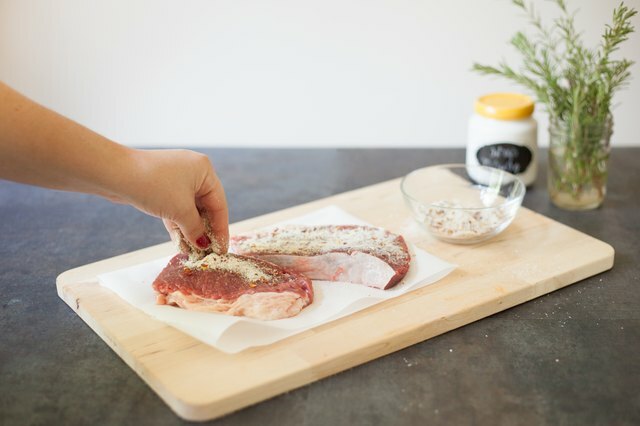 Salt initially draws moisture out of the meat, but the denatured proteins reabsorb the moisture quickly thereafter, yielding a succulent, seasoned steak. 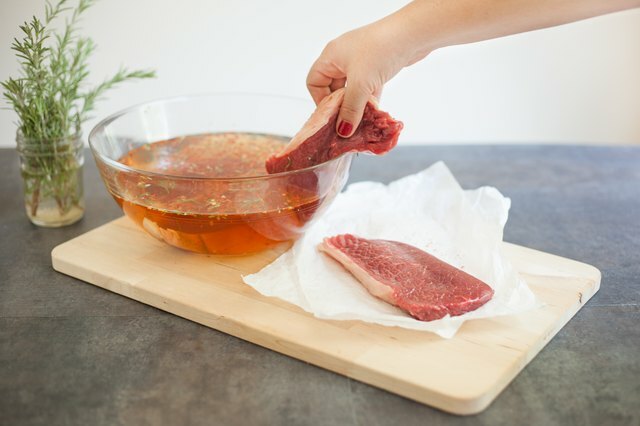 Wet brining is the ideal technique to infuse the steak with flavorful liquid ingredients, particularly well-suited to grilled steak. Dry brining is the best method to broil a steakhouse-style cut of meat with a tissue-thin crust of seasoning on the surface. 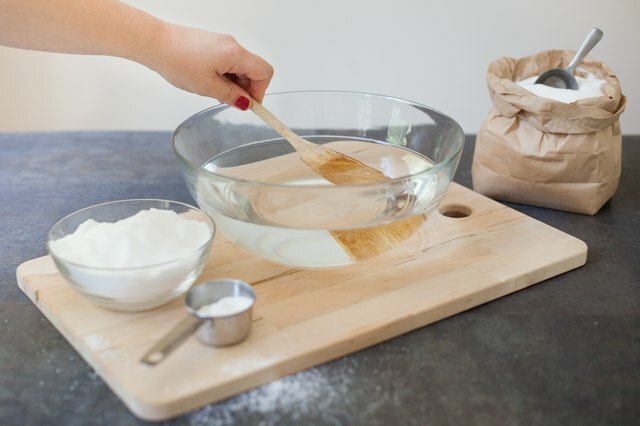 Pour water and salt into a bowl, using approximately 1 part salt for every 32 parts water. For example, if you use 8 cups of water, add 1/4-cup salt. Add 2 parts granulated sugar for every 3 parts salt in the brine. Using the example provided, you would add 2 tablespoons of sugar. Stir the ingredients with a spoon until the salt dissolves. 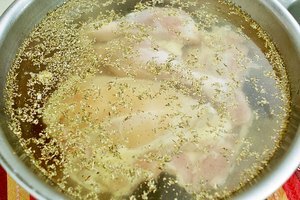 Add herbs, spices or other flavorful ingredients such as Worcestershire sauce or hot sauce to the saltwater to season the brine. Ground black pepper, red pepper flakes, rosemary and thyme are all appropriate seasonings for steaks. Include sliced citrus fruit or onion or cloves of garlic, if desired. Place the steak in the brine. Cover the bowl with a lid or plastic wrap. Refrigerate the steak and brine for four hours, up to overnight. 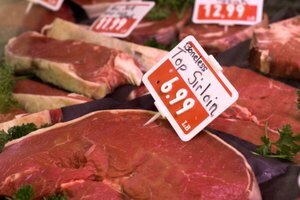 It is safe to leave raw steaks in brine up to five days as it remains refrigerated. 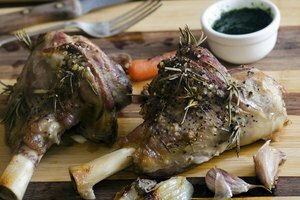 Brining the meat longer than one day, however, does not improve its texture or juiciness. Remove the steak from the brine. Rinse it under cool running water, then pat it dry with paper towels. Discard the brine. Rest the steak at room temperature before grilling or broiling, if desired. The surface sears more effectively if it is dry and warm. Cover raw steak if you rest it at room temperature to protect it from contamination. 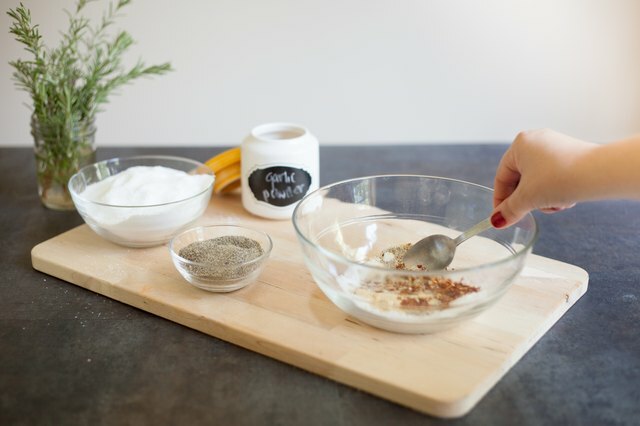 Blend salt with other seasonings in a bowl. Granulated ingredients are best for a dry brine because the smaller particles yield a more robust and consistent layer of seasoning. Ground black pepper and other dry seasonings, such as ground herbs, are appropriate choices, but it is fine to use salt alone, if desired. Sprinkle the seasoning onto both sides of the steak. Apply it generously so that each side is evenly coated in a thin consistent layer. Place the seasoned steak on a plate. Cover it with plastic wrap. Rest the meat at least 40 minutes, up to overnight. The salt penetrates the meat more deeply and effectively the longer it rests. Rest the steak at room temperature if you cook it within two hours of seasoning it. 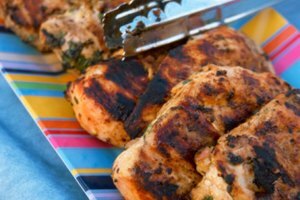 Rest it in the refrigerator if you season it more than two hours ahead of cooking it. Leave the steak uncovered in the refrigerator overnight to achieve the best results. 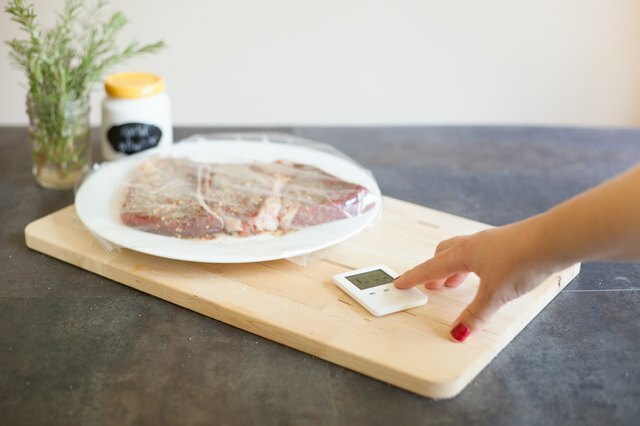 To prevent contamination, take extra caution to ensure that the raw steak does not come into contact with any other food or surface if you refrigerate it uncovered. 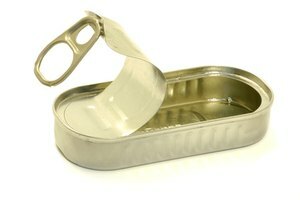 Uncovered meat loses about 5 percent of its moisture and appears dry on the surface, but the flavor concentrates. Rest refrigerated steak covered at room temperature up to two hours before cooking it to create the most effective sear. 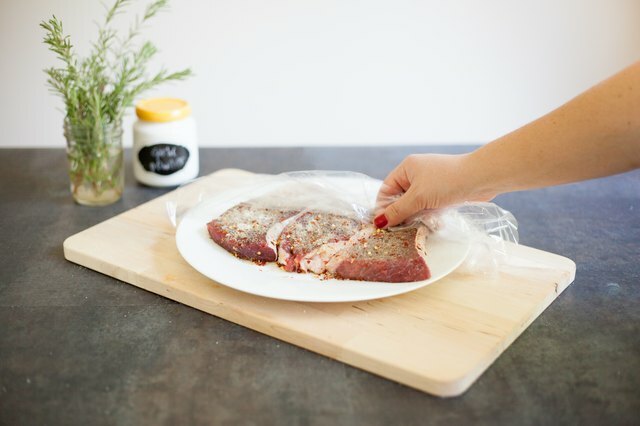 Place steak and wet brine in a resealable plastic bag, which you can discard, to facilitate a quick cleanup. Do not rinse the a seasoning off a dry-brined steak before cooking it. Salt does not affect the food safety of meat. Beef should have an internal temperature of 145 degrees Fahrenheit to ensure that it's safe to eat.